Today we are releasing the first product generated by the Swiss Data Cube. 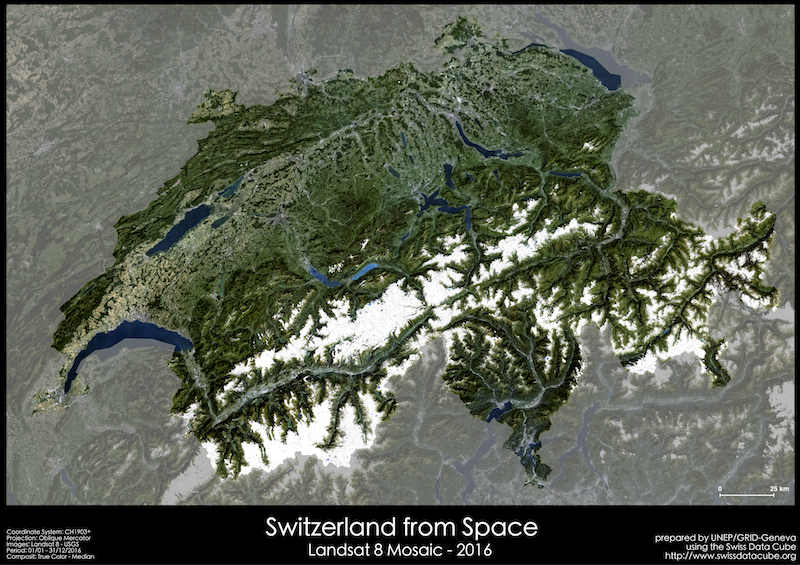 It is an A1 format poster of the Landsat 8 cloud-free mosaic of Switzerland for the year 2016. The image is a True Color mosaic using a median value for each pixel. The final resolution of the mosaic is 30 meters. The poster has been created using QGIS. The poster is freely available for download under the Products section.